There have been numerous stories circulating about how Facebook and other social media websites invade our privacy, selling our personal information to advertisers who in turn target us in our own personal spaces online. But the truth is, many privacy risks lie much closer to home. In fact, two of the biggest live in your home—you and your spouse. A new investigation by Consumer Reports into data collection and privacy on Facebook, conducted last January as part of the magazine’s annual State of the Net Survey––the results of which are now published in CR’s June issue—concludes that many of us are undermining our own privacy in the digital realm by revealing too much information about ourselves and not using the security options Facebook offers. This post is excerpted with permission from Techlicious. 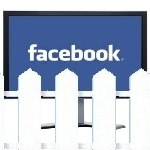 Techlicious facebook, facebook privacy, social media, social media privacy, techlicious. permalink.